Fast and effective release of fat cells for fat loss and detoxification. Increased collagen formation for skin rejuvenation. Increased skin radiance and skin elasticity. The LEDs in our Lipo-Wrap emit a unique wavelength of light. When this light reaches the fat layer it causes the membranes of the fat cells to temporarily alter the permeability of the cell wall. While under the red light, the fat cell wall opens, dispelling waste from within the cell out into the interstitial layer. The fat is then broken down into free fatty acids and glycerol, and enters the blood stream where the body can use it as fuel, or eliminate it naturally in stool and urine via the lymphatic system and liver. Simply put, the red light helps remove the fat from your fat cells so your body can flush it away naturally. The Lipo-Wrap brings the remarkable effects of professional red light therapy treatments to your home at a cost-effective price, so you can enjoy the benefits for years to come. 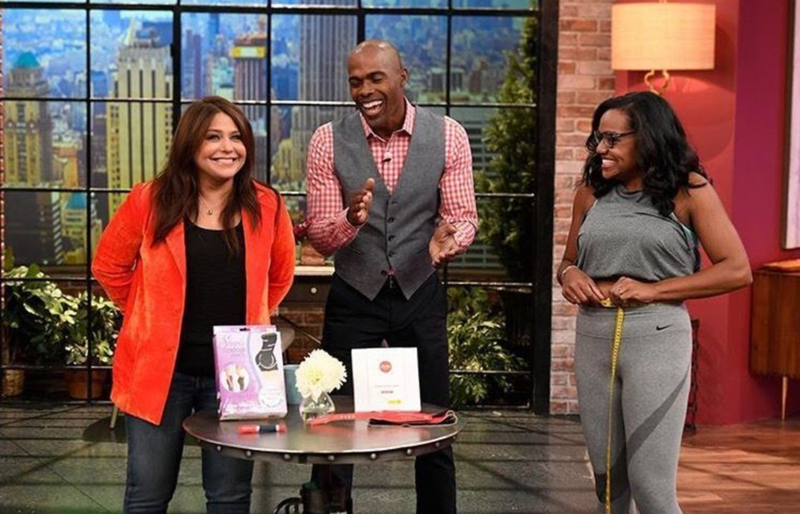 When tested in the Human Lab segment on the Rachel Ray Show, Sandra lost two inches of belly fat in just one week with the Nushape Lipo Wrap! LED therapy in 660 and 850nm wavelengths offers significant pain relief and healing benefits including improved recovery time for wounds, bruises and injuries, increased oxygen and blood flow, improved circulation to the treated area and enhanced antioxidant enzyme release and ATP production. This spectrum also promotes fibroblast and collagen production, increases lymphatic drainage, and reduces swelling and inflammation- bringing relief to athletes, sufferers of arthritis, and those with chronic pain. Nushape's signature red light therapy for fat loss stimulates fat cells to release toxins and reduce their size. Results are typically seen the same day and up to three days after treatment. Red light therapy for slimming is estimated to release approximately 130 grams of fat from treated cells. Most clients lose an average of two inches of fat in their first one-hour professional session with our professional model, the Nushape II. Red light therapy can also help with skin rejuvenation, and to relieve a variety of skin conditions, such as acne, age spots, scarring, rosacea, and eczema, as well as improve skin elasticity and reduce wrinkles. When red light is used in conjunction with professional skin care products like our all natural Nushape essentials, the results are amplified. We use the latest technology for body contouring and pain relief, originally discovered by NASA. Red light therapy is a safe and non-invasive way to promote healing, control pain, and stimulate lipolysis of the fat cells. Built on the research of Rodrigo Neira, M.D. and Clara Ortiz-Neira, M.D., red light therapy has been proven effective for a variety of rejuvenating and healing uses, including slimming, anti-aging, skin rejuvenation, pain relief, and more. Red light technology can reduce inches without needles, incisions, or other invasive procedures, and is 100% natural, pain-free, with zero side effects. Red light for pain and inflammation can drastically improve conditions with weekly sessions. When diet and exercise just don't cut it, red light therapy provides an effective boost where supplements and other methods may not be powerful or easily sustainable. Nushape phototherapy wraps can be offered in conjunction with other wellness treatments like acupuncture, machines such as infrared saunas, whole body vibration, chiropractic and personal training to further enhance and speed the results.